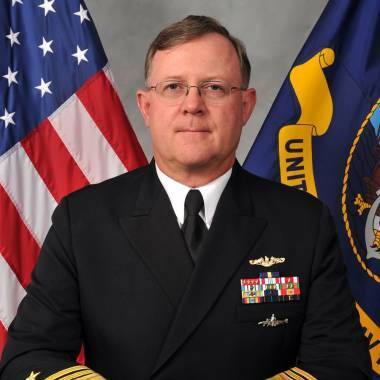 A U.S. Navy vice admiral has been suspended from his position as the second in command of U.S. Strategic Command and is under investigation for issues related to gambling, authorities said Saturday. A senior defense official confirmed that Vice Adm. Tim Giardina, the deputy commander of Strategic Command, was suspended from his duties on Sept. 3, pending the outcome of a Naval Criminal Investigative Service investigation. STRATCOM is the command that oversees all U.S. nuclear war-fighting forces. While sailors are allowed to gamble, Giardina's activities go beyond just gambling, the official said, but declined to be more specific because of the ongoing investigation. Giardina remains at STRATCOM, pending reassignment, but he is not allowed to perform any duties related to nuclear weapons or security issues. The official stressed that there is no reason to believe that Giardina's activities caused any security concern or impacted his role at STRATCOM. The NCIS investigation began in July. STRATCOM is near Omaha, Neb.